16oz. chicken broth, 2T. minced garlic, 2t. cumin seed (or 1T. ground cumin), 1/2t. oregano leaves, 2 cans great northern beans, 1 can garbanzo beans, and a 4oz can green chilis (mild or hot depending on the level of spice you want). We used mild chilis and our chili is not spicy at all. 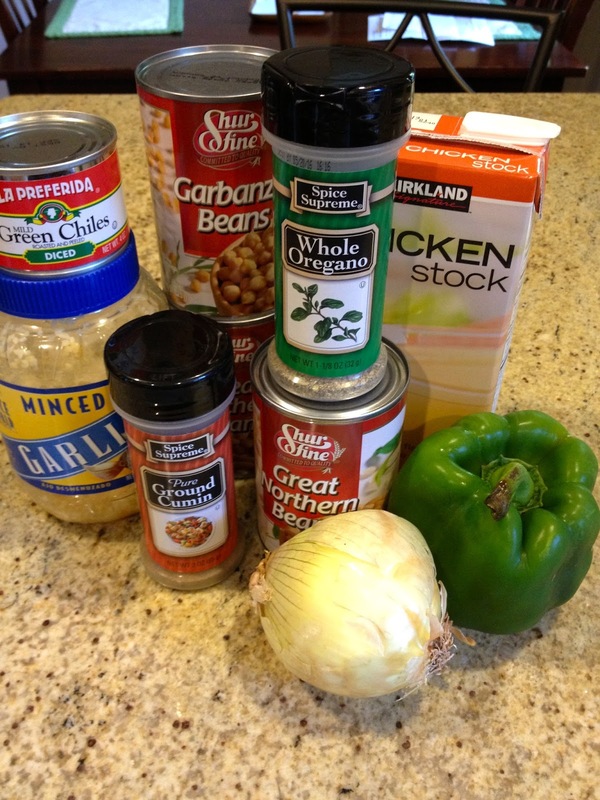 You can also change the kinds of beans you add depending on your taste. 2. 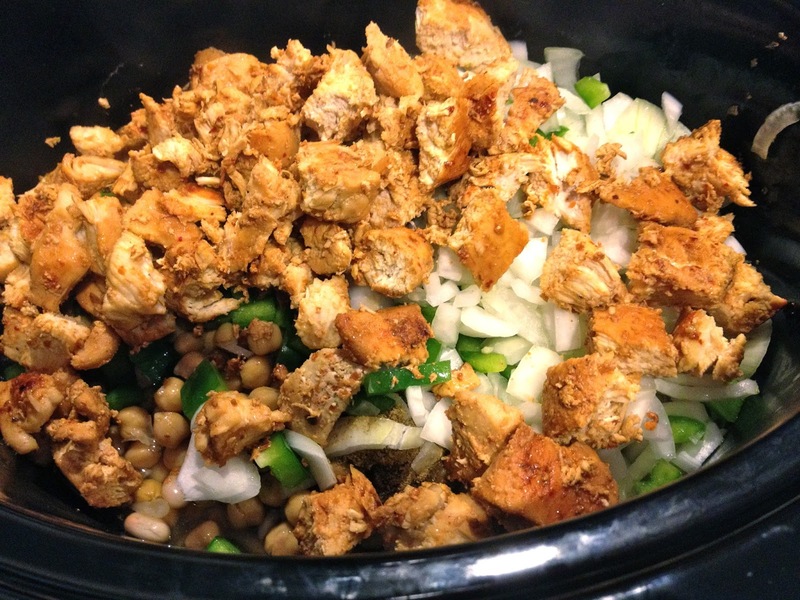 Put it all in the crockpot. 3. Cook on low for 4-5 hours. You might want to stir once to make sure nothing browns on top if it isn't sitting in the broth. I sometimes have that problem if I leave it in the crockpot all day while I am at work. We love ours topped with cheese and a side of cornbread! 1. 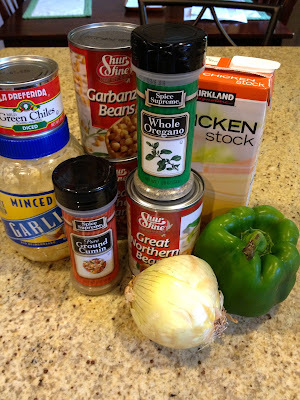 In a 4 or 6 quart crockpot, combine ingredients. Cook in low for 4-5 hours. 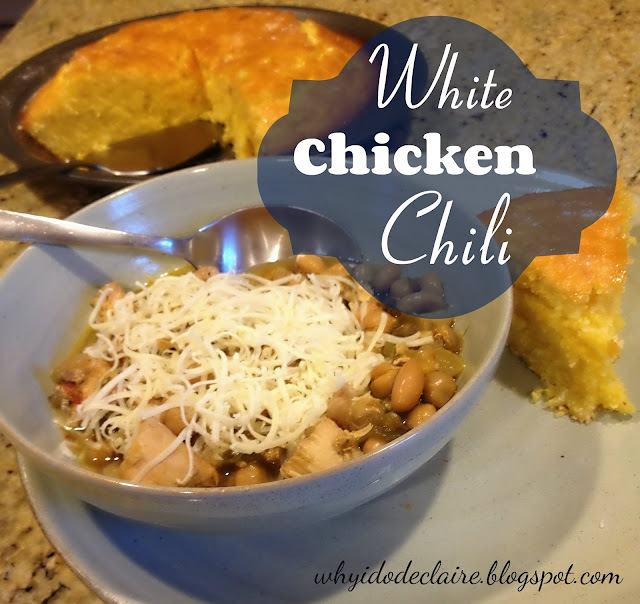 Mmm I love white chili! I am definitely making this as soon as the weather cools off! Me too! It's my favorite kind of chili! 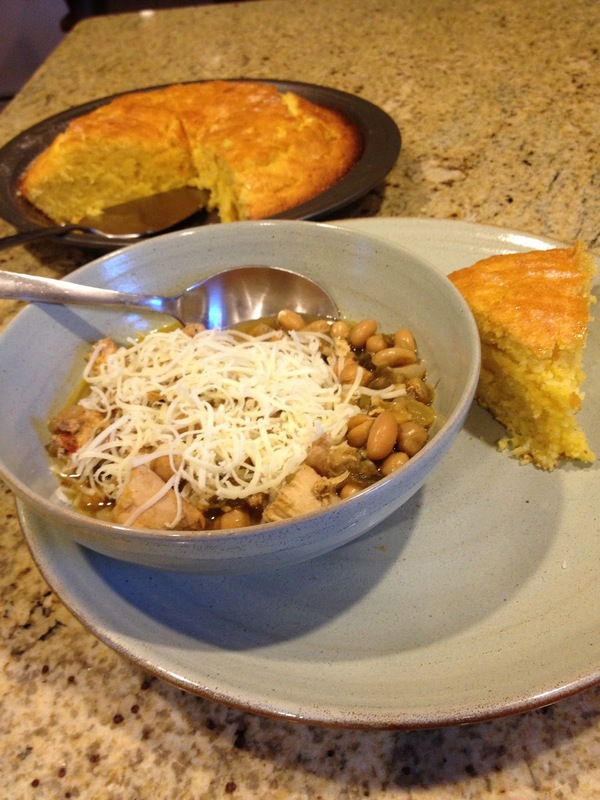 Chili is a food for fall! I love how the whole house smells like it when you cook it in the crockpot all day.